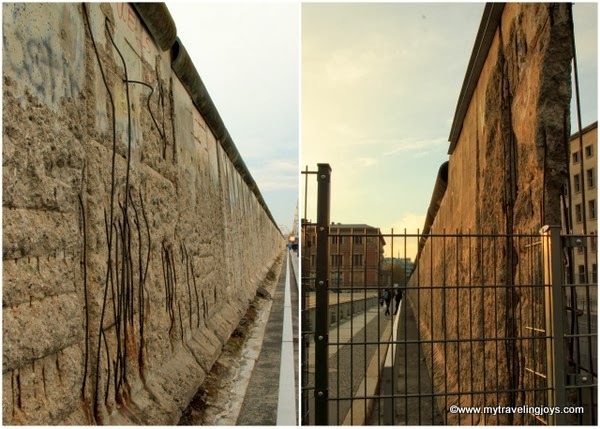 For about 28 years, Berlin was a divided city with a 12-foot concrete wall establishing its boundaries. Following World War II, Germany was divided, as was the capital of Berlin. The United States, Great Britain and France, who had similar government beliefs, occupied West Germany and West Berlin. East Germany and East Berlin were occupied by the Soviet Union. In those early years, thousands of people began migrating from the East to the West due to the government's restrictions and economic hardships. To prevent losing more of its population, East Germany established the Berlin Wall in August 1961. The original cinder block wall with barbed wire morphed over the years into a concrete block, 12-foot-tall wall with a rounded top starting in 1975. Armed guards were stationed by the wall to prevent escape to the West. However, an estimated 10,000 people made escape attempts, with only half of those attempts successful, and 246 people died because of the Berlin Wall. In November 1989, the Berlin Wall finally fell. (Read a personal account of the wall falling here.) I was 13, and only vaguely remember catching glimpses of this moment on television. 24 years later, I saw the remains of the Berlin Wall in person. Staring at these decaying concrete sections was a sobering moment. I realized how often I’ve taken my American freedom for granted. A 200-meter-long strip of the border wall (outer wall), severely damaged by souvenir-seekers, is still standing at its original location on the southern side of Niederkirchnerstraße in Berlin. A “prettier” section of the wall is known as the East Side Gallery – a 1.3 km-long painted stretch of the former Berlin Wall along the Mühlenstrasse in former East Berlin. It is the largest open-air gallery in the world with over 100 original mural paintings. International artists transformed these grey, ugly walls into pieces of art that recognized the liberation and peace following the wall’s fall. I highly recommend a stroll by the East Side Gallery for any first-time visitor to Berlin. One of the best known paintings, “The Mortal Kiss” by Dimitrji Vrubel, of Erich Honecker and Leonid Brezhnev’s mouth-to-mouth embrace. In November on the West side of the wall, there was a special photo exhibit, called WALLONWALL, about walls that separate people worldwide. This photo shows West Bank, Israel. @Moe, WOW...thanks for sharing your story! I cannot even fathom what that would have been like living in Germany at that time. I often think about that as I walk through Warsaw and think of how awful things were during and following WWII. Since you love to take photos, I'm sure you'd be inspired by the wall too. Wonderful photos! Thank you so much for sharing.